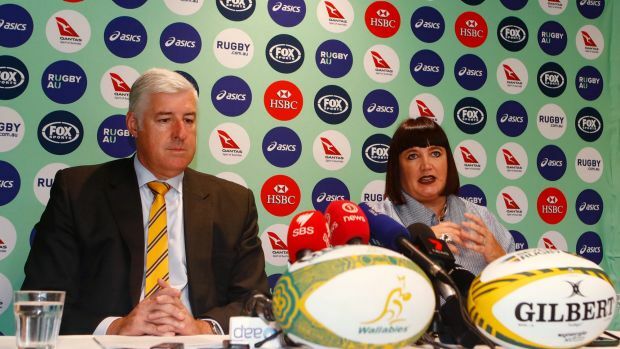 The annus horribilis at Rugby Australia culminates in current CEO, Bill Pulver, falling on his sword and a newly minted boss in Raelene Castle being named. From the outset, this caught the Australian rugby community off guard as a past player or rugby union minion was not elected. No NSWRU or QRU baggage to overcome or have to justify. Castle has worked for the past 4 years as the CEO of the Bulldogs Rugby League where she had to deal with the strong personality of Des Hassler, putting her in good stead for ‘handling’ the Wallabies coach, Michael Chieka. There were salary cap issues at the Bulldogs and Hassler was sacked after she had left, but it seems on the surface she did a good job. She also had 6 years before that as the head of Netball New Zealand building great relationships with other administrators, notwithstanding NZ Rugby boss Steve Tew. If Rugby Australia had of picked Phil Kearns, then a business as usual mentality would have set in and the rot and coverups would have continued to permeate. Sydney’s North Shore brigade would retain its power base, leaving the rest of grassroots rugby to try and tread water unassisted. This might have been where Eastwood President, Brett Papworth, may have been parachuted in, as he has had plenty to say about developing grassroots rugby (see here). Although, his health may have been of concern (more info). It was even believed that belated saviour of the Western Force rugby union, Andrew Forrest, could have even been given a nod, despite not having sports administration background (see IPRC). So we turn to Ms Castle and her credentials certainly stack up as a competent administrator with high profile positions in various sporting landscapes. There will always be detractors out there, though, on a whole, it appears she has done a wonderful job. Also, she sees opportunities for both male and female athletes to develop with international opportunities not found in AFL or NRL. My question, however, turns to the fact that she is a New Zealander and an avowed supporter of the All Blacks, “There wouldn’t be a Wallabies-All Blacks Test match that I have missed in the last 35 years, unless I was travelling.” When every fibre in the collective conscious of rugby aficionados in the Australian rugby community focussed on regaining the Bledisloe Cup, would getting into bed with the ‘enemy’ be seen as a positive step? The overall attitude of the rugby leader is, of course, to build relationships and seek to increase participation in our game (that they play in heaven). Grow the grassroots and plant the seeds for Wallaby success. But, the end goal for young aspirants is to see a successful progression and ultimately an all-conquering Wallabies outfit with at least a Bledisloe Cup in the cabinet, then there may be a conflict of interest. I hope I am wrong, though the Robbie Deans saga was arguably a mistake. Rugby followers are passionate beasts and any chink in the armour at the top is not looked on too fondly. Pulver has had some great initiatives for Australian rugby, especially in developing women’s rugby, but regrettably botched the handling of the Western Force in Super Rugby with a complete coverup and will forever hang his head in shame. 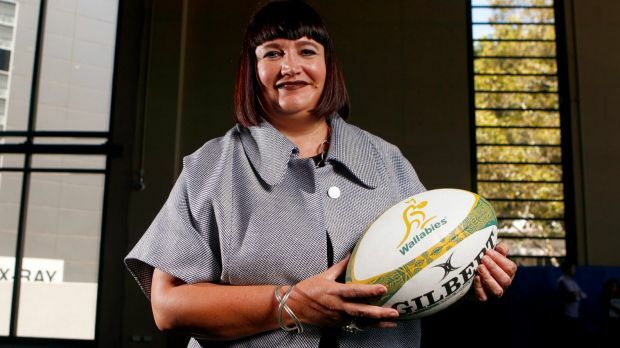 Not since John O’Neill has Australian had a rugby boss of pedigree and after Ms Castle has sorted out New Zealand Rugby League’s failure at the RL World Cup she can attend to our rugby woes. Hopefully, she does not see this appointment as a stepping stone to take Steve Tew’s position as the head of New Zealand Rugby, because, with the announcement to apply for the Women’s World Cup in 2021 and the Men’s in 2027, we need someone here for the long haul. As the 27,199 spectators at Suncorp Stadium filed out after another loss to the New South Wales Waratahs, 23-5, questions started to be levelled at Queensland Reds coach Richard Graham. Queenslanders are a pretty passionate lot and to lose so easily to arch rivals the Waratahs, with the 133 year rivalry seeming a pointless advertising gimmick to heighten pre-match anticipation, seems like the players are lacking direction. Eddie Jones and Phil Mooney were shown the door before Ewen McKenzie arrived as the saviour and turned the Reds fortunes around winning the Inaugural Super 15 Competition in 2011. Since Graham has taken over the Reds have spiralled down to 13th place last year, the position they are currently placed, and with a rampaging Brumbies match next weekend their prospects do not look much better. QRU chief executive Jim Carmichael and chairman Rod McCall have some serious decisions to make over the next few weeks if they want to maintain their healthy membership base. Despite an horrific amount of injuries (Quade Cooper, Rod Simmons, James Horwill, Beau Robinson, Ed O’Donoghue, Ed Quirk and the suspension of Karmichael Hunt) this season, that are a natural occurrences in professional rugby, the fans expect results. Graham’s contract runs out at the end of this season and there are number of suitably qualified Australian head coaches plying their trade in Europe and Japan that should be considered. 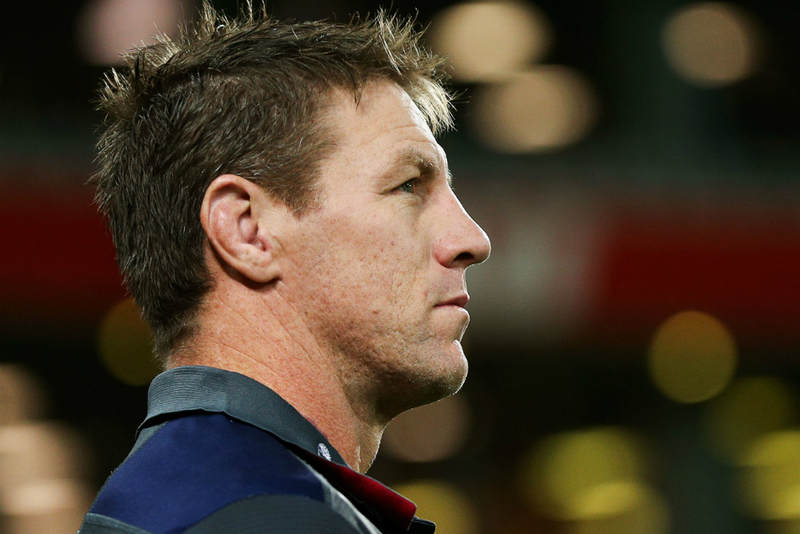 We all want to see a strong Reds side and the buck stops with the coach.